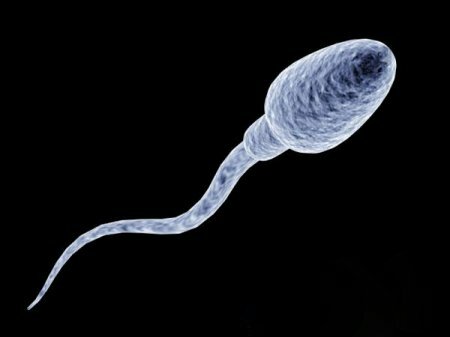 In February 2010, the popular science server sciencenews.org found an interesting article about research on human spermatozoa movement and their defects associated with marijuana use. The study itself was not only focused on marijuana, so that is why all conclusions of the study will be given. According to the above study, sperm cells move with the help of a proton pump. Substance similar to the active ingredient of marijuana can limit the function of the pump and thus reduce male fertility. This is the reason for earlier statements of infertility of those people who smoke marijuana. If another substance, which can affect sperm motility, will be found it will mean a breakthrough in birth control methods. Scientists know that protons leave the sperm cells, but so far it was not clear how this process works. Sperm motility and the number of protons released are closely related. The proton concentration in sperm is approximately 1000 times higher than in the environment and due to their pointed motion similar effect occurs – as a balloon which is inflated and released. The method itself, by which protons are released from the sperm cells, remains unknown. Researchers from the University of California, San Francisco have measured charge movement outside of sperm using miniature electrodes. It has been found that the nature of this charge was very similar to what we had known before about immune cells, which are known for their ability to reduce the charge of a proton channel called Hv1. In order to prove the correctness of their assumption, the researchers used a protein glowing green which is able to bind to these channels. And when a spermatic filament lighted green everything became clear. The scientists also tried to determine which substances were responsible for the changes in the activity of this channel. Anandamide has been announced as a culprit. By its influence on the human body and its structure anandamide is a \”close relative\” of delta-9-THC. 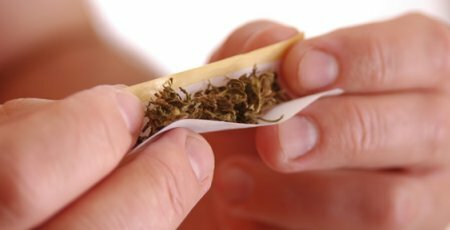 Without any hesitation the researchers concluded that they have found the molecular cause and the evidence of marijuana users` infertility. They also state that the regular use of marijuana leads to premature \”burning\” of sperm fuel (protons) which then has no energy when you need it. Although all of the studies at first glance seem to be quite serious some bias elements and unscientific approach can be seen clearly. The study has been criticized by a Harvard graduate, a long-term member of US Public Health Service. According to him, the main problem is that until now most studies on marijuana in the United States were conducted under the guidance of the state, which has no interest in demonstrating the positive effects, but rather exaggerates and sometimes comes up with the negative effects. He also states that if the science team in the United States did not achieve the desired result, in another words did not prove that marijuana had a negative impact, it became defunded and disbanded. This study used wrong methods and conclusions have been drawn from unfounded facts, according to Conrad Seyz. First of all, the response of spermatozoa to anandamide was observed only in vitro, and therefore the influence of the substance on spermatozoa in humans cannot be confirmed. In addition, the fact that anandamide and delta-9-THC are \”relatives\” let the researchers made conclusions about the same biological effects. If two substances are similar it does not mean that they have the same effects. The THC effect has not been investigated, even in vitro. What\’s worse, anandamide has not been identified as the creator of the effect of energy burning. It was just one of indicated substances. The study says that marijuana is harmful because anandamide is harmful, but it seems that anandamide was concluded to be harmful ​​on the basis of marijuana harmfulness. Of course, marijuana has not only positive effects, but if we have to learn about the negative ones we would like to see a serious approach. Such pseudo-science does not cost anything (of course, it refers only to the findings on marijuana, the rest of the research certainly has the advantage) and brings only misinformation that makes it difficult to distinguish and see the real risks and benefits of different drugs.